Handsome incised leaves, similar to fern fronds, are accented with sweet, rose-pink, heart-shaped pendant flowers. Enjoy blooms from late spring intermittently until frost. Delicate pink flowers dangle above long-lasting, feathery foliage that will enhance your garden the entire growing season! Native to the eastern United States, this heirloom species of bleeding heart bears the heart-shaped flowers of the older garden variety bleeding heart but possesses some distinct advantages. Fernleaf Bleeding Heart is an ideal beauty to grace the front border of your garden or to nestle among boulders in a rock garden. The leaves of this variety will stay green all summer long with blooms appearing intermittently until late fall. Growing in slow-spreading clumps, they are winter hardy, maintenance-free, and disease- and insect-resistant. (Some customers have reported that they are rabbit-resistant, too!) While they thrive best in loamy topsoil amended with compost or manure, Fernleaf Bleeding Heart can tolerate all but the heaviest soils, although for optimal growing they should be planted away from tree roots, which will compete for water. They also tolerate full sun but prefer a semi-shaded not completely shaded site. 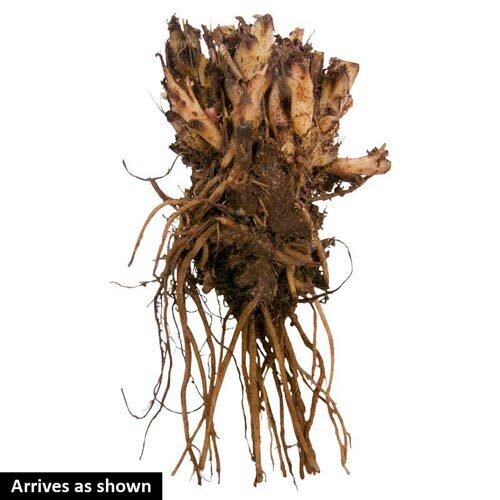 Charming companions to some of the smaller hostas and other woodland wildflowers, Fernleaf Bleeding Heart will self-seed under proper conditions. To optimize their health, divide them every 3 or 4 years in early spring or late summer. Soil RequirementWell-drained with a high humus content. Watering RequirementFoliage will not go dormant in the summer if soil is kept moist. Unique CharactersticsLengthy time in bloom in the shade, very adaptable to site if kept moist. Attractive foliage is retained throughout the growing season. 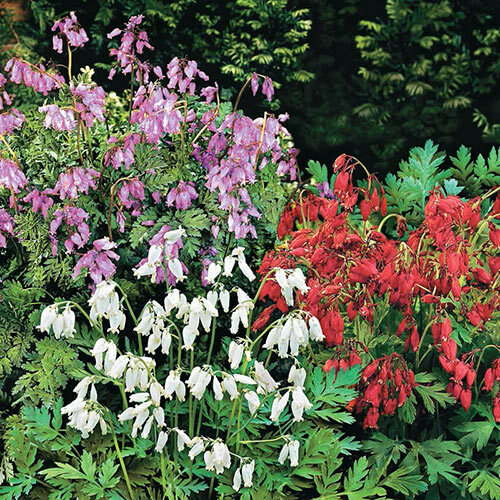 It does not go dormant and die to the ground in summer as Dicentra spectabilis.